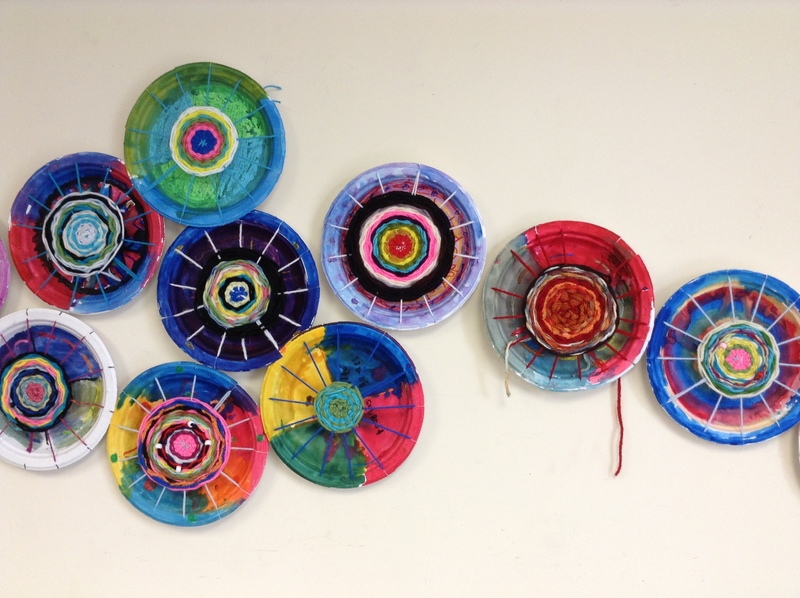 Fourth graders at Richmond Elementary School created the beautiful circular weaving pieces currently on display at the library. Students learned how to string their loom (a paper plate) and then weave circularly. It was challenging work, but the children persevered and these colorful pieces of artwork are the result. In the display case, find mixed-media pieces by Richmond Elementary School preschoolers. The children used a wide variety of materials to create bright and whimsical pieces of art. Stop by before the end of the month to view the students’ art.